Who would have ever believed that Indian Idol and Matt Hardy would someday cross paths? But when Matt Hardy came down to India as part of his promotional tour for WWE, he would make it to the sets of the hit television show. While on set, he would engage in a strange exchange. The video seems to have gone viral on the internet. Matt Hardy seems to be having the time of his life during his recent India trip. He even caught up with Team Sportskeeda for two interviews that you can read here and also here. During the course of the interview, it was revealed that Matt Hardy was not going to be retiring, as some rumours had indicated. Matt Hardy needed time away from the ring to deal with his injuries, before making a full comeback when his body would allow him to. He also picked The Revival and The Undisputed ERA as teams to watch out for! 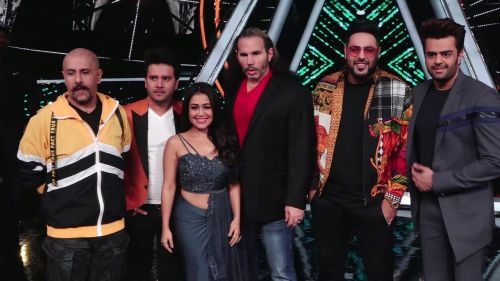 Indian Idol is a version of the internationally successful hit television series called Pop Idol and is currently in its 10th season, right now. The parent company, Sony Entertainment Television is also responsible for airing WWE on Sony Ten 1 and Sony Ten 1 HD. This is not the first crossover of this kind, because Braun Strowman had shown up on Dus Ka Dum, with Salman Khan as well. Stay tuned to Indian Idol to catch Matt Hardy on the show. Stay tuned to WWE to catch the Woken One's big return as well. Be sure to watch it on Sony Ten 1 or Sony Ten 1 HD. Are you excited to see Matt Hardy return to the ring once again? Let us know in the comments.